I’ve still been loosing chickens to predators, but it was looking a little different. The carcass was still inside the electro-net fencing and one time even inside the coop. Today I was getting them water and heard loud squawking that keep going on. I go over there and they were all in one corner of the fenced yard and still making a lot of noise. One of them even managed to wiggle through the fence and run into the woods. I looked over and against the coop I saw what looked like a pile of grey feathers. 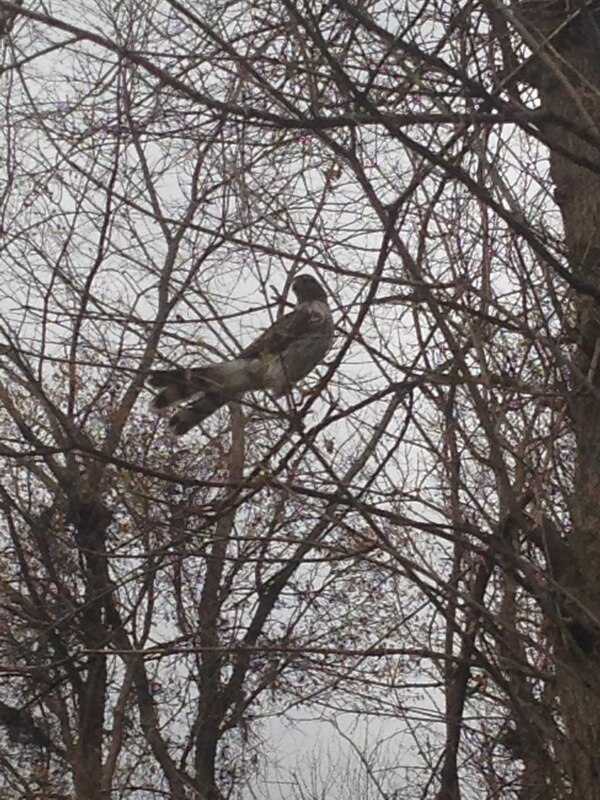 I went in that direction and what I think was a hawk flew up to a tree. This hawk was on top of one of the Black Java’s trying to kill and/or eat it, I was surprised that the Black Java was completely covered by this bird of prey. However the chicken was actually a bigger bird. I believe I stopped it in time to save the Black Java. 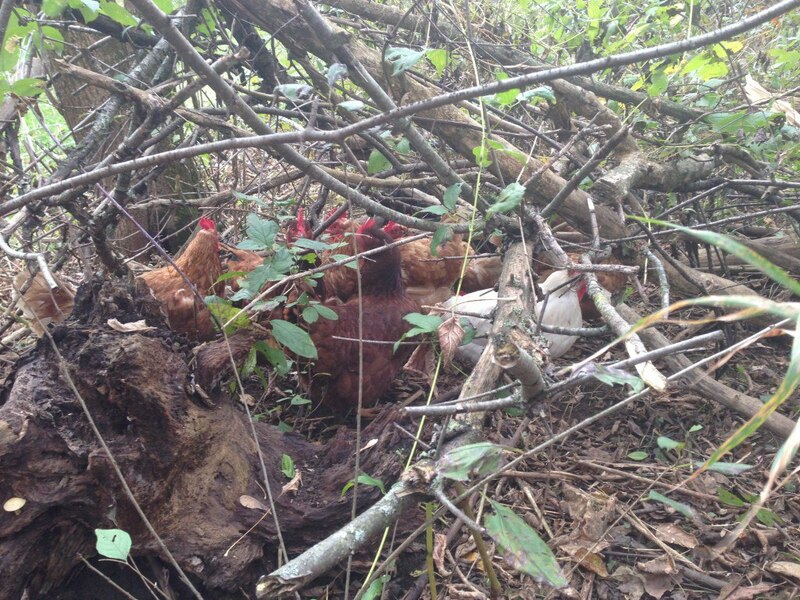 The rest of the girls all took cover under some brush and fallen branches. I now have to figure out what to do to protect the chickens from aerial predators. One of methods some have had success with is a rooster. The last one I had would run away rather than protect the girls, so he was turned into dinner. I’m hoping this next batch will have someone that can protect the flock against a predator smaller than itself.